Islamic Self-help was founded by Shaykh Abu Muawiyah Ismail Kamdar in April 2015. It was established as a platform to help Muslims gain knowledge that can assist them in personal development through Self-Help articles, books and courses. Shaykh Ismail Kamdar began his study of Islam at the age of thirteen. 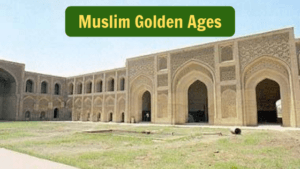 He has been actively involved in Islamic work since the age of sixteen. 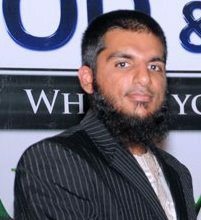 He has completed a seven year Alim course in 2007 and a BA in Islamic Studies from Islamic Online University in 2014. He is currently a senior lecturer, as well as the Faculty Manager of the Islamic Online University, and is involved in multiple Dawah projects. Over the past decade, Shaykh Ismail has served as a school teacher and administrator in multiple schools in South Africa and India. He has also delivered lectures and workshops in many locations locally and abroad, and appeared on many Radio Stations across the country. He has also served as a Radio Presenter at Radio Al-Ansaar for several years, until November 2016. In 2011, Shaykh Ismail discovered the importance of personal development and noticed a lack of Islamic literature dedicated to this field. After consuming dozens of books and courses on the topic, he decided to start this blog. The focus of this blog is articles and books related to the field of Islamic Self Help. Shaykh Ismail is the author of Having Fun the Halal Way: Entertainment in Islam, Getting The Barakah: An Islamic Guide to Time Management, Best Of Creation: An Islamic Guide to Self-Confidence, and Homeschooling 101, among other titles. I sincerely hope you are doing well. I wanted to tell you to keep up the good work you are doing. You are filling a void in our Ummah. Merging Islamic studies with self-help, motivational and productive guides is something so many people can benefit from. With all the challenges today’s Muslims face we MUST find a way to be productive and balanced. I can tell from your writings you are influenced by some of the best productivity authors of our time. I also enjoy these subjects as I find them critical to running my businesses. I am currently involved in a Mastermind class for “The One Thing”. That is why I wanted to reach out to you. If there is anything I could ever do to help your in the good work you are doing please contact me. I would love to hear about your future plans and help you with your journey. So, if you ever need someone to bounce ideas off of or just someone who can help focusing on your goals, I am available. Please keep up the good work and may Allah help all of us to be the best Muslims we can be.